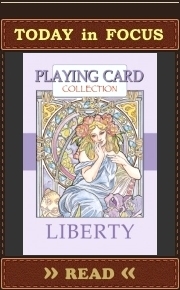 PlayingCardCollector.NET regularly tries to cover the most interesting playing card projects (choices are always subjective) on Kickstarter and other crowdfunding platforms. Unfortunately, alternative crowdfunding platforms don’t involve a lot of playing card projects, so Kickstarter remains some type of mecca for independent playing card producers. 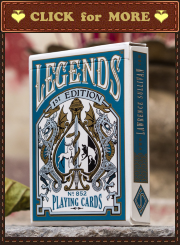 Traditionally the most interesting playing card projects are demonstrated on the “CROWDFUNDING DECKS” page and have their short introduction on the active pages devoted to different crowdfunding platforms. For active Kickstarter projects this is the “Kickstarter Projects” page. Unfortunately, any changes on the above mentioned pages can’t be automatically reported unlike new posts on PlayingCardCollector.NET. So, only readers who regularly check appropriate pages can find out about new featured Kickstarter playing card projects before a separate post devoted to such project. Regular readers of PlayingCardCollector.NET know that the site tries to propose them extended interesting articles about appropriate playing card projects. It’s clear that such articles demand time and can’t be always posted at the start of each specific playing card project on Kickstarter. So, look below at these new projects and check the “Kickstarter Projects” page. The third deck in the series devoted to Celtic myths. These decks are one of the most culturally richest decks of playing cards. 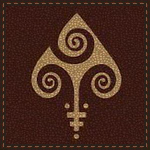 These are some combination of ancient symbolism and traditional playing cards from successful playing card designer.